Praba Pilar is a Colombian multi-disciplinary artist, technologist and cultural theorist. She explores globalized forms of economic and ecological crisis generated by emerging technologies through counter-narrative performances, street theatre, interactive electronic installations, digital artworks, writing and websites. 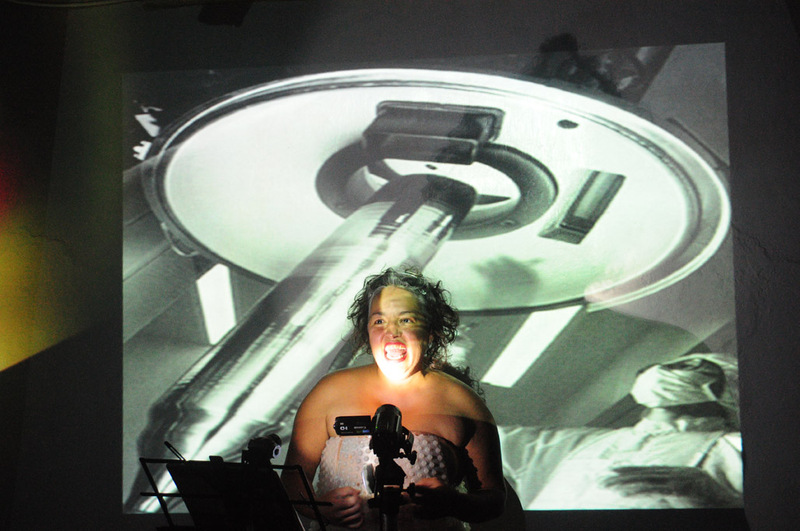 Her work has traveled internationally to multiple performalogic and dialogic spaces, including performance festivals, universities, galleries, museums, conferences, public streets, election halls, lecture halls, nightclubs and bookstores. She has been written about in numerous publications, and honored with multiple awards. She is now focused on liminal zones beyond subjection, and is developing her own embryonic language of performative unintelligibility as an approach to creative resistance. A life-long feminist activist artist, she is deeply influenced by the feminist activists, theorists, writers and critics Gloria Anzaldua, Chela Sandoval and Donna Haraway, among others. A recent immigrant to Canada, she has a PhD in Performance Studies with an emphasis on Feminist Theory and Research from the University of California at Davis (2014).